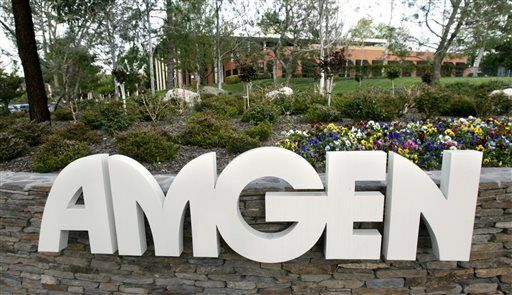 Amgen is the largest employer in Thousand Oaks and second only to the United States Navy in terms of number of people employed in Ventura County. BusinessWeek ranked Amgen first on the S&P 500 for being one of the most “future-oriented” of those five hundred corporations. BusinessWeek ostensibly calculated the ratio of research and development spending, combined with capital spending, to total outlays; Amgen had the fourth highest ratio, at 506:1000. The company employs approximately 17,000 staff members. Its products include Epogen, Aranesp, Enbrel, Kineret, Neulasta, Neupogen, Sensipar/Mimpara, Nplate, Vectibix, Prolia and XGEVA. Amgen has several collaborative arrangements with Pfizer Inc, GlaxoSmithKline, Takeda Pharmaceutical Company, Kyowa Hakko Kirin, Daiichi Sankyo and Array BioPharma. It is a leading member of the U.S. Global Leadership Coalition, a coalition of over 400 companies and NGOs that promotes increased funding for US diplomatic and international development programs. In 2010, Amgen began sponsoring the Tour of California, one of only three major Union Cycliste Internationale events in the United States. “2010 Form 10-K, Amgen Inc.”. U.S. Securities and Exchange Commission. Dineen, J.K.; Leuty, Ron (August 12, 2007). “Amgen Slows its Bay Area Expansion”. San Francisco Business Times web site. Retrieved August 14, 2007.